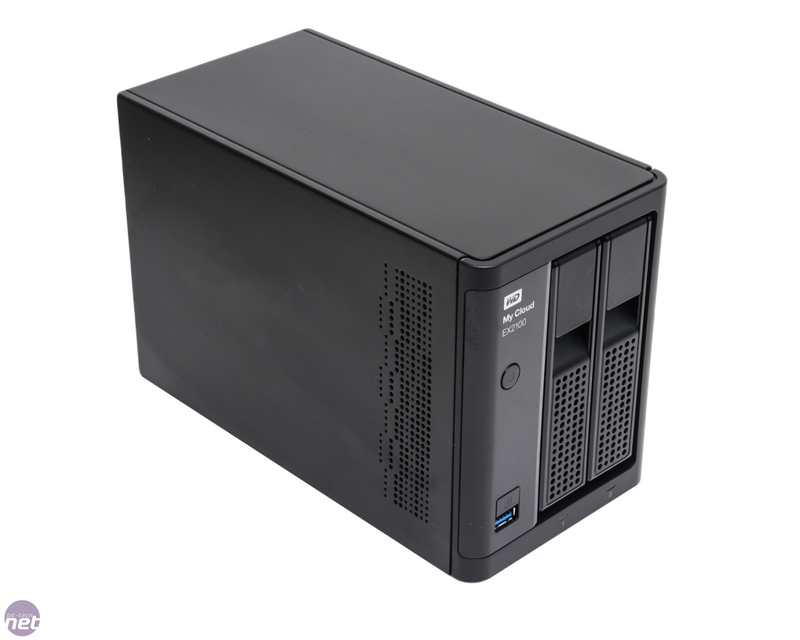 A few years ago, good NAS enclosures were few and far between. These days, the operating systems have improved significantly and you're now spoilt for choice with the main differentiating factors being performance when it comes to a single company's own line-up. 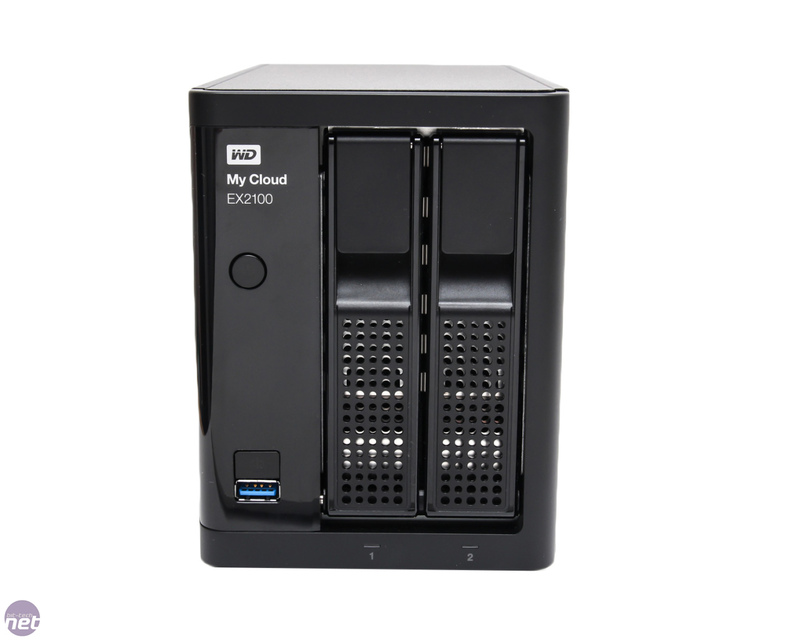 WD may not offer the same extensive list of app support as the likes of Synology or QNAP, but it's pretty synonymous with external storage, be it network-attached or USB. 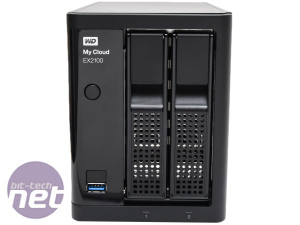 The My Cloud EX2100 joins WD's Expert series of storage devices and comes in diskless or populated options up to 12TB, with our sample sporting 8TB of storage courtesy of two 4GB Red hard disks. 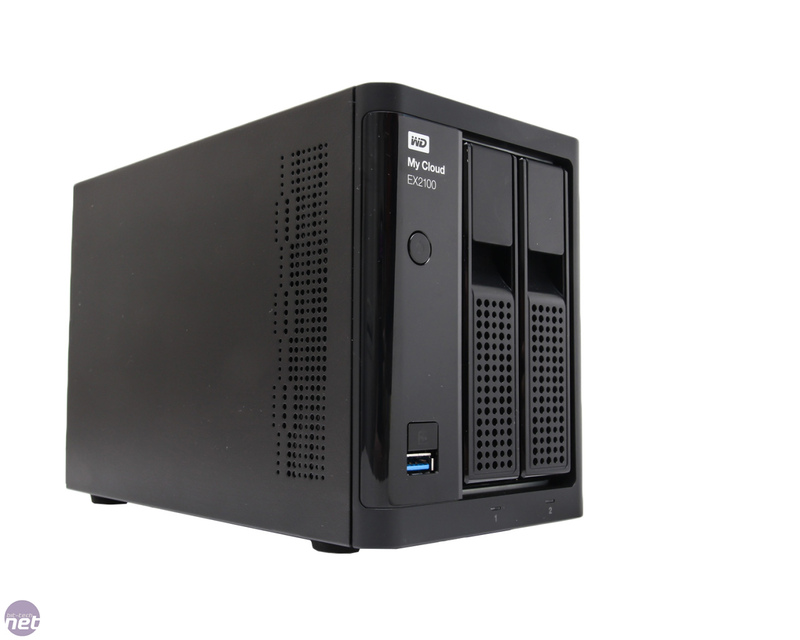 The bare unit retails for £200, which is in between most high-end NAS enclosures and budget-focussed models such as the Synology DS214SE. With WD's 4TB Red hard disk retailing for around £140, though, you'll be saving around £40 buying the populated unit compared to building your own. 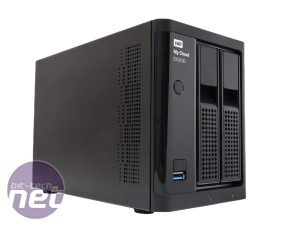 So, while £446 is a hefty price tag for a NAS, you're actually getting a pretty good deal if you're also in the market for a couple of hard disks to fill the EX2100. 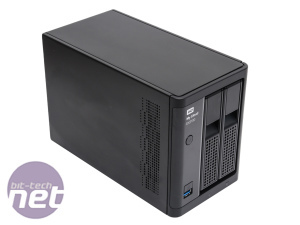 The EX2100 sports 1GB DDR3 memory and as is the way of most £150+ NAS enclosures these days, there's a dual-core CPU with two 1.3 GHz ARM v7 Cortex A9 cores in the form of a Marvell Armada 385 SoC. 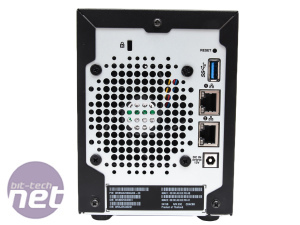 These are licenced from Cambridge-based ARM, rather than using a compatible CPU made by Marvell itself and also make the move from a 40nm manufacturing process that's used in the Armada 375 and included in models such as Synology's DS215j, to 28nm. 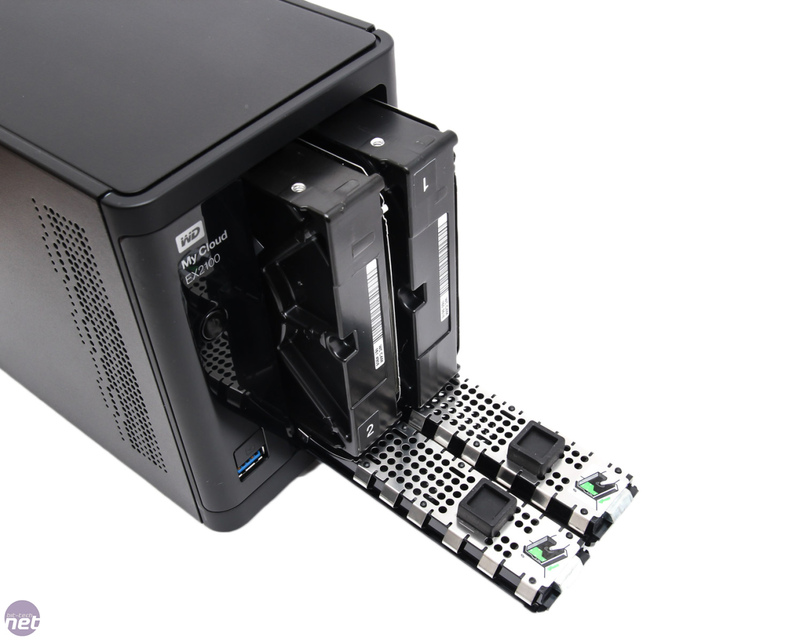 The chassis offers two USB 3 ports - one at the front, one at the rear, as well as a one-touch copy button that allows you to dump the contents of a USB stick straight to the NAS. 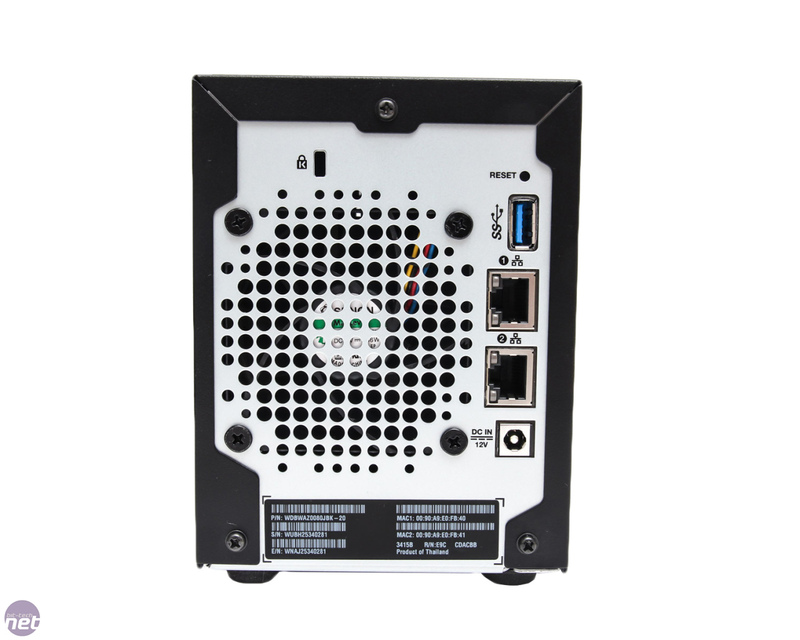 There are also two Gigabit Ethernet ports; these allow you to daisy-chain units if needed as well as supporting link aggregation to boost performance in addition to failover. 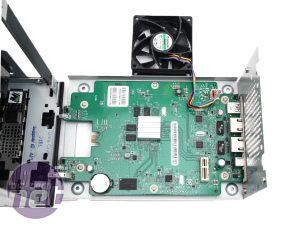 The fan is a little smaller, at 70mm, than Synology's blissfully quiet 92mm models, but we have no complaints about the hard disk mounts. 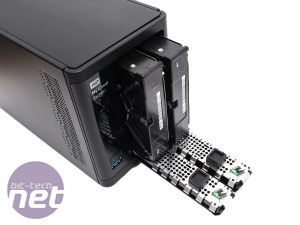 There's not a lot of noise insulation, which is par for the course with most NAS enclosures, but they are completely tool-free - you just need to slide the hard disk into place and close the door.